Brittney Jacaway and Paul Varner will marry Dec. 2 at Sacred Heart Catholic Church with the reception to follow at Elm Street Ballroom. Brittney is the daughter of Robert and Deanna Jacaway of Columbia, and Sherry and Mark Lopez of Belton. She graduated from the University of Missouri in 2010 with degrees in finance and banking and real estate. She currently works as the Key Center Manager at Key Bank N.A. in Seattle, Wash. Paul is the son of David and Nancy Varner of Belton. 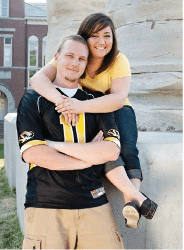 He graduated from the University of Missouri in 2011 with a mechanical engineering degree and currently works as an equipment engineer at Boeing in Renton, Wash. Brittney and Paul met in high school and have been together ever since. They have two dogs: a schnoodle named Hugo David and a terrier mix named Benjamin Roarke. 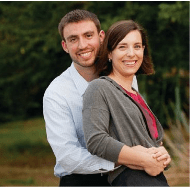 The couple recently relocated to Seattle because Paul was hired by his dream employer, Boeing. Molly Winkelmeyer and Allyn Bottorff will marry Dec. 30 at Evangelical Free Church. Molly is the daughter of Kellar and Brenda Winkelmeyer of Columbia. She graduated with a bachelor’s degree in kinesiology from Wheaton College in 2005, and received her master’s degree in physical therapy from the University of Missouri in 2009. She is a physical therapist at Rick Rother Physical Therapy. Allyn is the son of Duff and Marian Bottorff of Columbia. He earned his bachelor’s degree in electrical engineering in 2011 from Missouri University of Science and Technology. He is an engineer with Hubbell Power Systems in Centralia. Amanda Holliday and Sean McClusky will marry Jan. 6, 2012, at Majestic Elegance in Punta Cana in the Dominican Republic. Amanda is the daughter of Mike and Pam Holliday of Columbia. In 2007, she earned her bachelor’s degree in diagnostic medical ultrasound from the University of Missouri. 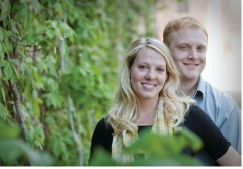 She is an ultrasonographer at the University of Kansas Medical Center in Kansas City, Kan. Sean is the son of Galen and Ann McClusky of Leawood, Kan. He earned a Bachelor of Science from the University of Missouri in 2008 and is a client representative for Cerner in Kansas City, Mo. The couple plans a reception at home when they return from the Dominican Republic. Kellen Burkett and Craig David will marry Feb. 11, 2012, at Caesars Palace in Las Vegas. Kellen is the daughter of Russ and Terry Burkett of Columbia. She graduated from the University of Missouri with a degree in chemical engineering in 2006 and is now a production team leader at Schreiber Foods Inc. in Clinton. Craig is the son of Larry David of Columbia and Marjorie David of Columbia. He graduated in 1993 from the University of Missouri with a degree in accounting, finance and real estate. Craig is currently a lead accountant in the Office of Research at the University of Missouri in Columbia. 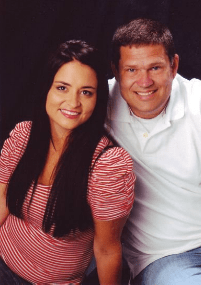 Trista Hedrick and Todd Marple plan to wed March 24, 2012, at Firestone Baars Chapel on the Stephens College campus. Trista is the daughter of Eddie Hedrick of Columbia and Lynne Hedrick of Columbia. She graduated from Central Missouri State University in 2004 with a degree in marketing and currently works as a marketing liaison at Rusk Rehabilitation Center. Todd is the son of Marilyn Krutsinger of Keokuk, Iowa. He graduated from Keokuk Senior High School in 1991 and currently works as a finance manager at Frank Fletcher Honda. Todd served in the U.S. Marine Corps as a parachutist and recon Marine from 1991 to 1995. Would you like to see your wedding featured in Inside Columbia? Ask your photographer to send us a CD with 15 to 20 high-resolution photos from your wedding and reception, accompanied by a note that includes the bride and groom’s contact information. If your wedding is chosen for a feature, you will be contacted by a reporter who will interview you for the story. Photo disks will only be returned if accompanied by a self-addressed, stamped mailer. Mail the photo disk to Editor, Inside Columbia, 47 E. Broadway, Columbia, MO 65203. Submit your engagement or wedding announcements atwww.InsideColumbia.net/weddings or by emailing weddings@insidecolumbia.net.